There are various things to do in Dubrovnik for everyone to enjoy. Dubrovnik is a charming and historical city along the Dalmatian coast. It has been a popular destination for the last few years due to the famous tv series Game of Thrones. It is one of the main filming locations of Game Of Thrones as their King’s landing. A great day trip to Split from Dubrovnik is also possible to visit the other filming location of the famous TV series. My husband and I went for a short city break to visit Dubrovnik. We were welcomed by the Dubrovnik Tourism Board and guided us on what to do in Dubrovnik using the Dubrovnik card and more. 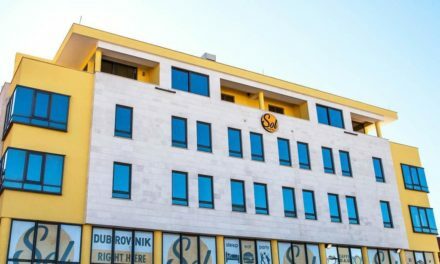 You can read our itinerary to Dubrovnik and my hostel review of Hostel Sol Dubrovnik where we stayed at. Croatian visa is needed in case you are Philippine passport holder or Schengen visa will enable you to enter Croatia as long as you are travelling from a Schengen area. Prices closer to the old city wall and other Dubrovnik attractions are more expensive. This area is where the majority of the tourists hang out, so you can expect high prices when it comes to food, drinks and other touristy memorabilia. However, if you try to visit the local shops and bakeries for a lite bite, it is pretty cheap and would consider it as the local prices. Kuna is the currency in Dubrovnik. So make sure that you have enough change to pay by cash. Here are some of our suggestion on what to do and other Dubrovnik attractions in the old city. Mount SRD is probably one of the best vantage points to see the beauty of Dubrovnik Old Town. The easiest and popular way to go up in the mountain is thru the cable car. You can get the cable car near the Buza Gate of the Old Town. 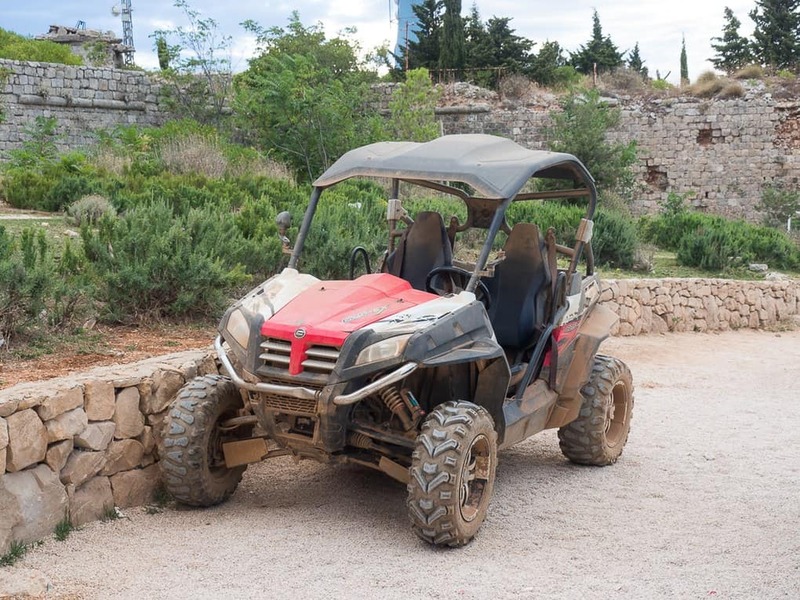 If you are up for an action ride, there is a Buggy track that you can rent on the top of Mount SRD. See this travel tip on which has the best view of Dubrovnik if its the Dubrovnik cable car or the city walls! 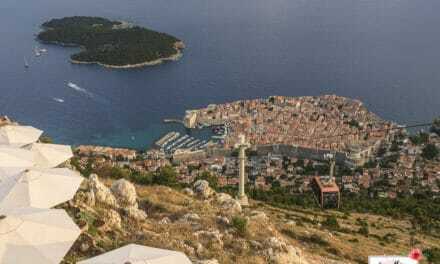 Where is the cable car in Dubrovnik? You can access the cable car near the Buza gate of the Old town. I would suggest booking your cable car ticket in advance due to the popularity of this activity. You can also book your buggy ride on the Mt Srd here. If you are still asking yourself on what to do in Dubrovnik, the Old town city walls are considered as the gem of Dubrovnik! The Dubrovnik Old town is the main highlight when you visit this beautiful Dalmatian town in Croatia. It is one of the filming locations of Game of Thrones as the King’s Landing. 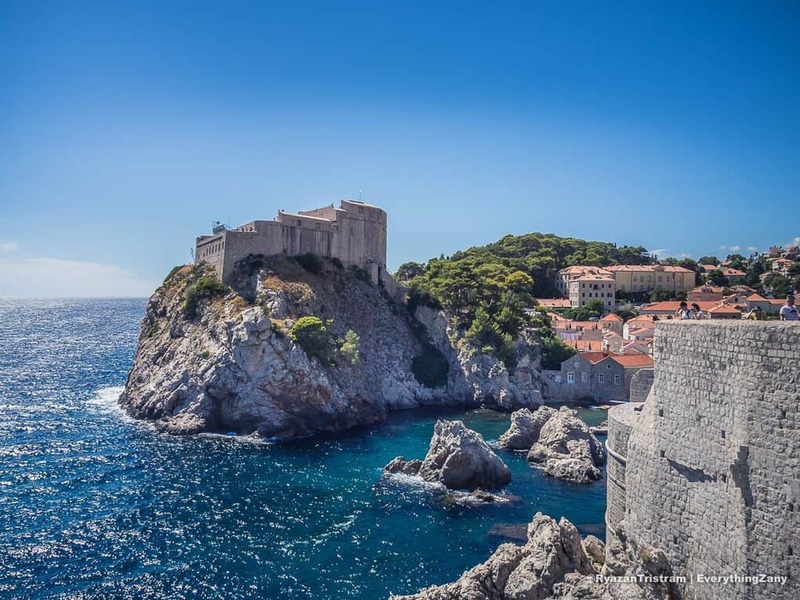 There is plenty of Game of Thrones tour in Dubrovnik but due to the popularity, you have to book it in advance to avoid disappointment. Roaming around the cobbled streets of the Old town city walls will tell you the colourful and rich Dubrovnik history. The entrances to the old town city wall are dotted around the 4 corners of the ancient city. You can arrange these tours in advance to avoid any disappointment and will make you appreciate the walled city of Dubrovnik. 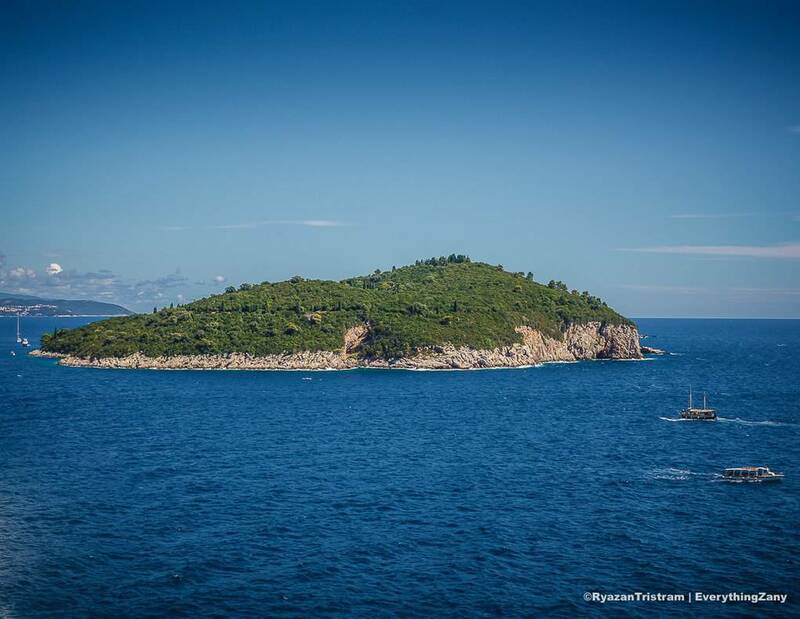 Just a few minutes boat ride from Dubrovnik Old town (Old Port) is the Lokrum Island. Some of the beaches in Dubrovnik can be found here. The little paradise is a popular spot for the locals and visitors alike. It is also one of the filming locations and part of any Game of Thrones tour in Dubrovnik. There are various activities within Lokrum for everyone, or just simply enjoy the beach! They also have a nudist beach here, if that’s your thing! 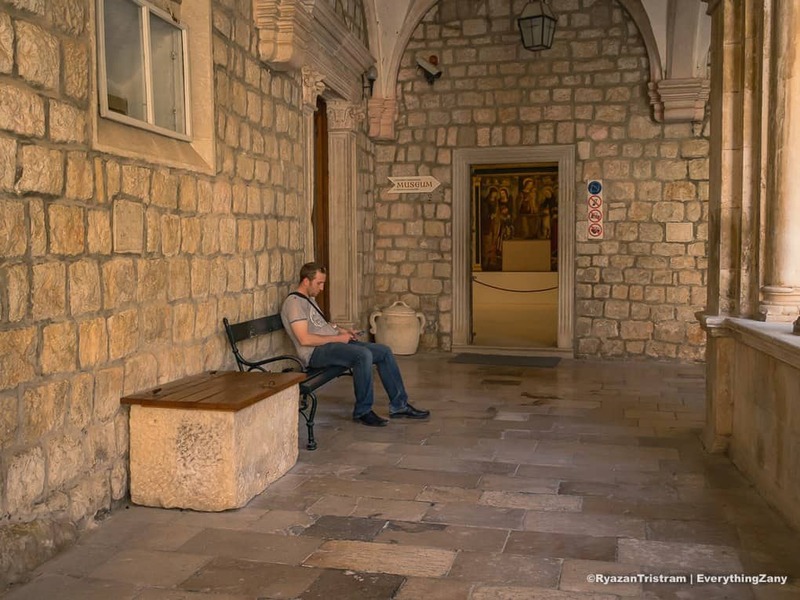 The Dominican Monastery Museum is architectural and cultural treasure hub in Dubrovnik. It was established in the 12th century and completed by the 14th century. 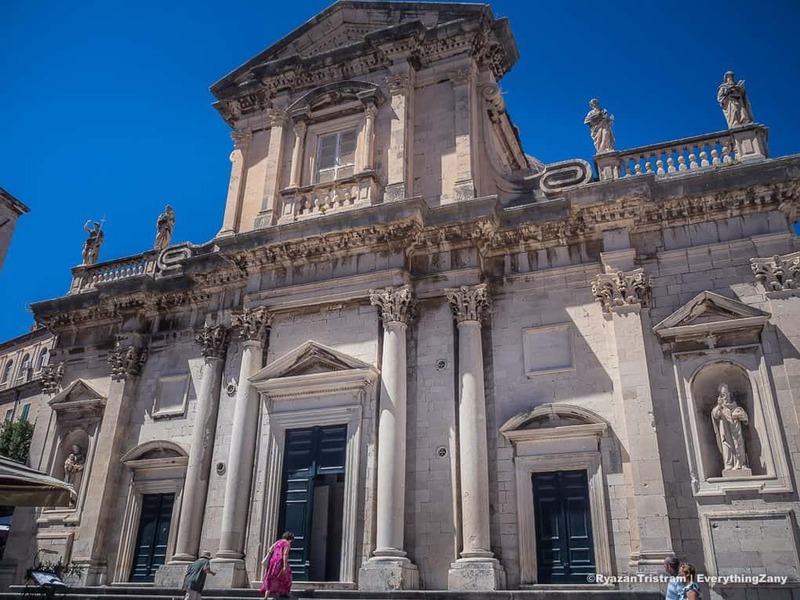 The Dominican museum has some rich collections of artefacts and manuscripts that are considered as treasures of Dubrovnik. Dubrovnik as we know it is the Pearl of the Adriatic. There is no doubt about that! Dubrovnik has a colourful history way even before the times of Napoleon invasion. Dubrovnik was once known as the Republic of Ragusa. A wealthy and powerful small republic in Croatia. The Rector is the head of the republic and this Rector’s palace also served as the seat of the council and the centre of administration of the republic. The Dubrovnik Cathedral is at the heart of Old town. The cathedral was believed to be built by King Richard I of England a.k.a Richard the Lionheart, as a thanksgiving pledge when he was shipwrecked on the Lokrum island. The Cathedral treasury is a part of the Cathedral where they keep all the valuable treasure and relics. The Fort Lovrijenac is located outside the Dubrovnik Old town. It serves as one of the fortresses to defend the Dubrovnik. It is currently a known theatre in Dubrovnik and a filming location of Game of Thrones as the “Red Keep“. 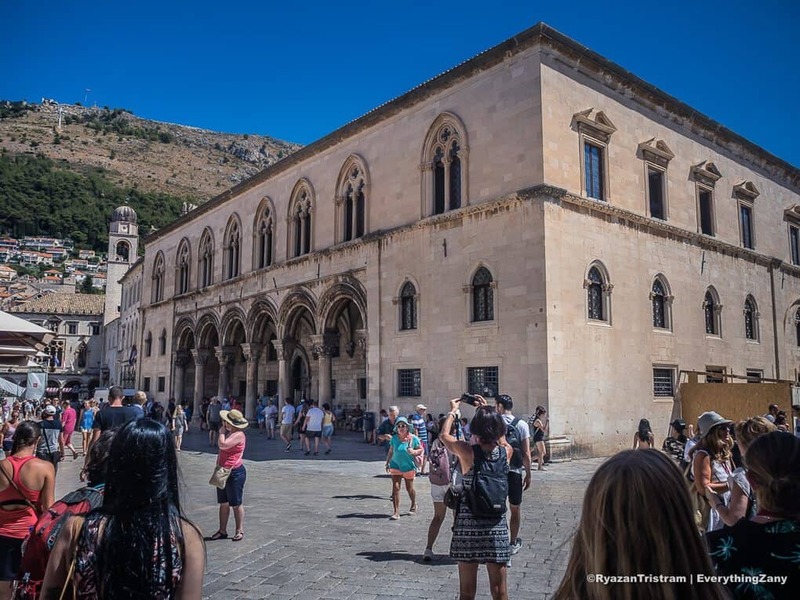 This is one of the main stops for any of the Game of Thrones tour in Dubrovnik. Fort Minceta served as a strategic viewpoint to defend the Dubrovnik. Located in the Northern part of Dubrovnik Old town, and it is the highest point of the Old town city walls. It has one of the beautiful views of the Old town. This is one of the filming locations of Game of Thrones as the “tower of the undying“. 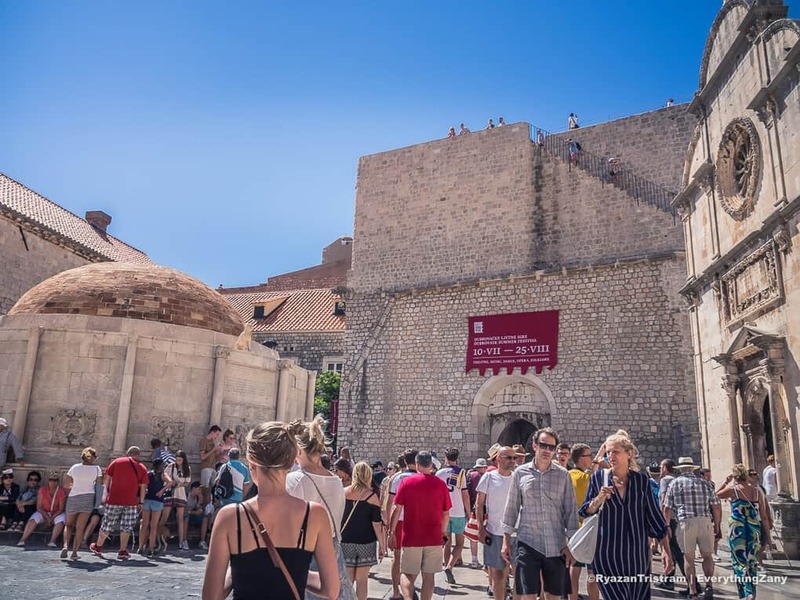 Another great point of interest in any Game of Thrones tour in Dubrovnik. The Dubrovnik Old port has a long history and contribution to the growth of Dubrovnik. During the time of the republic, Dubrovnik is known to build durable ships and boats which they will create secretly inside the arsenal in front of the old port. 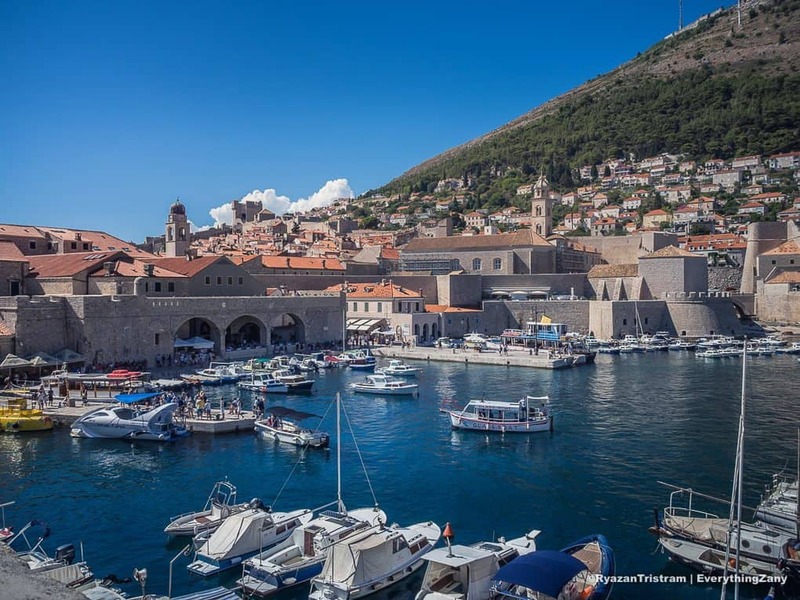 The Old port of Dubrovnik has become one of the popular attractions in Dubrovnik now a haven for the private boats and commercial boats of the locals that provides various excursions and trip to Lokrum island and other Dalmatian islands nearby. 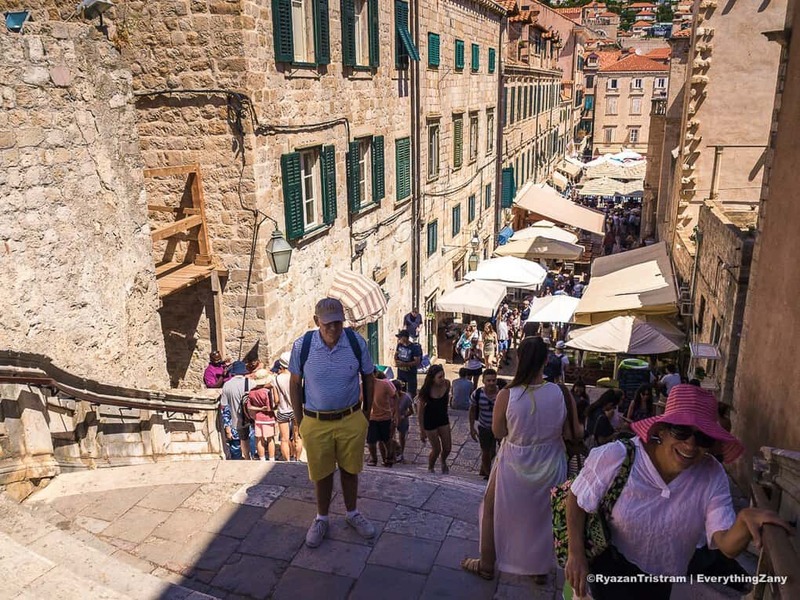 The Jesuit staircase has become one of the iconic attractions in Dubrovnik due to the Game of Thrones. It is the filming location of the famous scene of Cersei when she did the walk of atonement. Make sure that you to do your version of ” Walk of Shame” in this famous staircase. Definitely a must-see in any of Game of Thrones tour in Dubrovnik. However, there is no cathedral on the top of the stairs, but during your visit, you can do and experience the famous and iconic walk! Book your Dubrovnik tours and activities here! I hope you’ll get to visit these places when you visit Dubrovnik. There are more things to do in Dubrovnik. Have fun and enjoy Dubrovnik – the Pearl of Adriatic! Lucky you to get invited by the Tourism Board! I had such a great time in Dubrovnik last year with my family. We did all the things suggested by you. May I add one more – we did the sunset kayaking tour. Although 2 hours of kayaking requires a lot of strength and fitness, it was an amazing experience, kayaking around Dubrovnik and the Lokrum island. Dubrovnik looks so amazing and well intact – I’ve always wanted to visit this city in Croatia, but never made it that far south, so I’ll definitely have to take another trip to this amazing country soon! Great post! I visited dubrovnik last summer and even though it was SOOO busy it was a lot of fun. I did all the game of thrones locations and also walked on the wall. Such a beautiful view! But I really recomend people to visit outside of July, August. Dubrovnik looks gorgeous! I feel like I’m the only person who doesn’t watch Game of Thrones, and actually it kind of annoys me that beautiful places like this are now getting too many tourists just for that – there is certainly plenty to do here without thinking about the TV show! The port and fort are absolutely stunning! We just couldn’t get enough of the Dubrovnik Old Town in one visit, so we had to go back the next day as well. We went through all the sights the second time. The wall wall, only once 🙂 This place is a photographer’s unending delight. Dubrovnik looks so quaint and has an old world charm. I have always been fascinated by the place ever since I saw some movies that were shot in its picturesque locales. Though not particularly a fanatic about GOT, I like the look of Lokrum Island. The forts too look really awesome. Best of all would love to take a stroll in the streets of Dubrovnik and soak in its spirit.